Although there are some articles of clothing or blankets, etc., that may say "dry clean only" on the tag, I've found I can still wash them on a gentle cycle in my washer, or hand wash. I can also hang them outdoors or in the house to dry. You can also look at care labels, and choose not to buy items that do require dry cleaning. We decided to re-do the garbage bin, after noticing it has been slowly decaying and getting in rough shape. Gerry picked up some treated 5/8's plywood and a number of treated 2x4's from RONA Home & Garden . He liked the selection that RONA Home & Garden offered, the yard layout and helpful store associates/yard crew. At home he already had the hinges, 4x4 posts and a selection of wood deck screws. He wanted to maximize wood usage, so one sheet of plywood completed everything for the lid. Paint was bought elsewhere on a clearance/mistint, for $10. Luckily he was able to find a color that matched quite well with our yard and area. He spent $50 at RONA Home & Garden ,$10 for the paint, and about $10 in other items were just found in the shop that he had saved over time, from other projects. We also loved that they accepted Air Miles as we are reward point collectors as well. Here you can see the before and after pictures. Today is a wet day.. suppose to rain all day, but keeping as many windows open in here as I can, without the rain getting in. Love that fresh outdoor smell indoors. The air is so fresh and crisp. A big change from yesterday. Very muggy and so many bugs out. I swear there was one of every variety of yesterday. We seem to as well have an overabundance of hornets/wasps this year around. The neighbors have scrubs that the wasps may be pollinating, by our driveway, so I've had to park my car on the opposite side so I don't have to worrying about getting stung. Gerry can park on that side! Today Gerry spent a few hours helping my sister's new bf move her stuff into the travel trailer. As my sister and her kids are moving 13 hours away, leaving tomorrow. He spent a few hours yesterday washing the rv, from top to bottom, with the pressure washer. Something he hasn't done since we got it. Said the top was extremely brown and dirty! Getting ready for the trip to Montana this weekend. Also, working on the new garbage bin project that we should have pictures of soon, weeding, and so much more off my "Honey Do List". Since we knew we were getting alot of rain today, all the outdoor projects were done yesterday. I see Southern Saskatchewan also hit with alot of rain. How has the weather been your way? The giveaway draw date will be made by Random.org on July 4, 2014 from all Canadian entries received. Must share this giveaway one other place: Twitter, Facebook, contest site,(your choice) and leave link to where, in the comments, with your email. With summer finally here, many of us are very excited about heading to the cottage. For many it is a summer tradition. There is something special about cottages that makes spending time there extra enjoyable. Make sure to have everything you need. 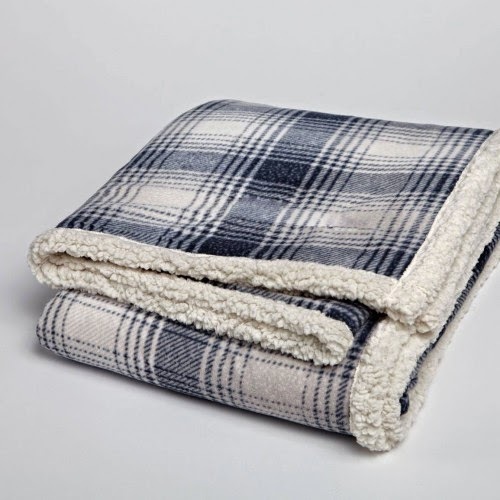 Kanantahome carries the Cottage Plaid blankets in a blue and white plaid pattern. 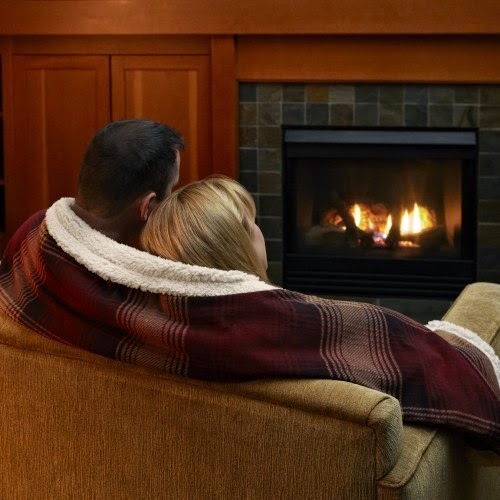 Fantasized about cuddling up in a romantic log cabin, by the fire, under a cozy cottage blanket? These are absolutely perfect for a beach themed cottage and wonderfully cozy to cuddle up in on a cool summer evening. ** Watch this spot for more great cottage Must Have's. Wow- it's actually warmer outside than it feels in the trailer today. And that seems to happen alot. Even the dog wants to be lying in the sun on the deck rather than be indoors. I'm just writing a few lines though before Gerry is home for lunch, then it will be off for a walk after lunch. Bought a sweeper yesterday for the rv- was on half price at local hardware store. Also Gerry got a can of indoor/outdoor paint for $10, same place...one of those paints that went wrong in color and no one wanted to keep it, so they were selling for $10. Gerry said it would be about $40 regular priced. We need it for the new garbage bin project we'll be posting soon, that we did in conjunction with Rona. Also made mini chocolate chip banana loaves yesterday from a recipe that called for making a big loaf, but the minis are cute to make too with the mini loaf pan I have. Yum! Although I haven't had indoor garage sales for a few years, we still do regular sorting and purging here. So have been bringing in some extra money that way. The items we can sell for $2+ go on our local buy and sell on Facebook and other items are given to other members of the family who want our "stuff" or to the local Vocational Centre. Got a phone call this afternoon- won a $350 tool kit/set from The $25,000.00 Miller Genuine Draft Garage Overhaul Giveaway. It was one of the weekly prizes- and have a chance at the Grand Prize draw July 1st! Warmer temperatures and long weekends, and special days like Canada Day, signal the start of the much-anticipated BBQ season. 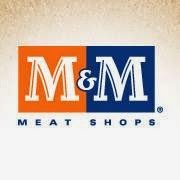 For great summer grilling ideas, M&M Meat Shops is offering an exciting selection of great-tasting new products. From classic and stuffed burgers to skewers, steaks and kabobs, you’ll never be short on mouth-watering grilling ideas to suit any backyard bash, or this year's Canada Day celebration. Bring a whole new burger experience to your family and friends with NEW M&M Meat Shops Stuffed Cheese and Bacon Beef Burgers or Stuffed Ham and Swiss Chicken Burgers. For a touch of elegance, try M&M Meat Shops Lobster Tail Skewers, the perfect addition to your steak for a surf-and-turf dinner. Paying back debt, going on vacation, saving for your kids education and your retirement are all the things that you can now achieve. Check out their books, they are easy to read and on a variety of topics with some great advice too! 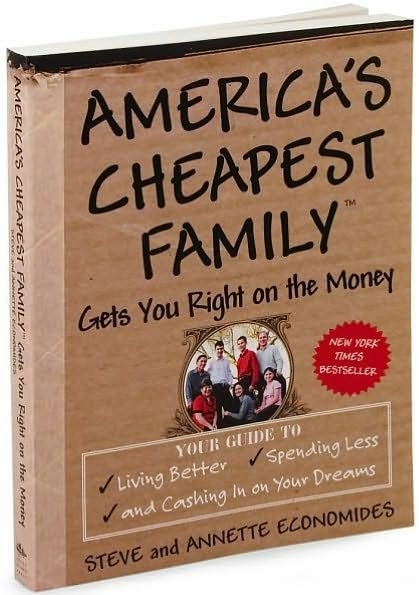 I especially loved their NY Times Best Seller and #1 Amazon Best Seller, America's Cheapest Family Get You Right On The Money. I've read many frugal living books over the years. Some are keepers and others not. Some you flip through them and others, like the Economides is one you read word for word on, and keep this book on your shelf, like a reference book you can keep coming back to. If your struggling with debt or even if you want to start living better even on less money, now is the time to read the book that will get you on track. Other great books in their series: Cut Your Grocery Bill in Half, and The Money Smart Family System: which shows you how to teach your children to manage money and have a good attitude while they’re learning to earn, budget and spend wisely. 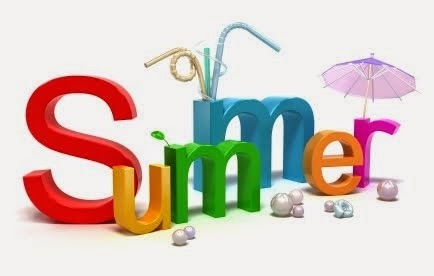 Well, it definitely isn't feeling too summery around here today with the rain we are getting and all the cloud, but I guess it's still officially the First Day of Summer. Gerry is busy doing work inside and out of the rv today. Taking out for the first time in about 2 weeks, to Glacier National Park, Montana. Will have more to tell you all in the coming week or so. While it gets very exciting to finally shed some layers and expose our skin to the sun, it is important to protect our skin. This summer remember to hydrate your skin to keep it healthy and happy even in the sunshine. Moisture will not only make you feel better but will keep your skin more youthful looking. Helping repair and restore extremely dry, rough, cracked skin on the feet. With its patented MVE® technology, CeraVe® Renewing SA Foot Cream releases key exfoliating, hydrating and moisturizing ingredients throughout the day, leaving feet feeling soft and nourished. Salicylic acid (SA) and ammonium lactate help to loosen and exfoliate dead skin cells, allowing essential ceramides, niacinamide and hyaluronic acid to provide barrier repair. **Renewing SA Foot Cream is available through podiatrists. Hydrating your skin is important during any time of the year, but especially in the summer! You can transform your shower into your very own seaside paradise with the NEW Softsoap brand Sea Kissed exfoliating body wash. The uniquely designed gentle scrub body wash combines mild exfoliation action with rich, creamy lather, and a delightful fragrance that reminds you of the deep blue waters of paradise. It will definitely keep your skin hydrated all summer long! Small accents make all the difference when it comes to dressing up your sink. 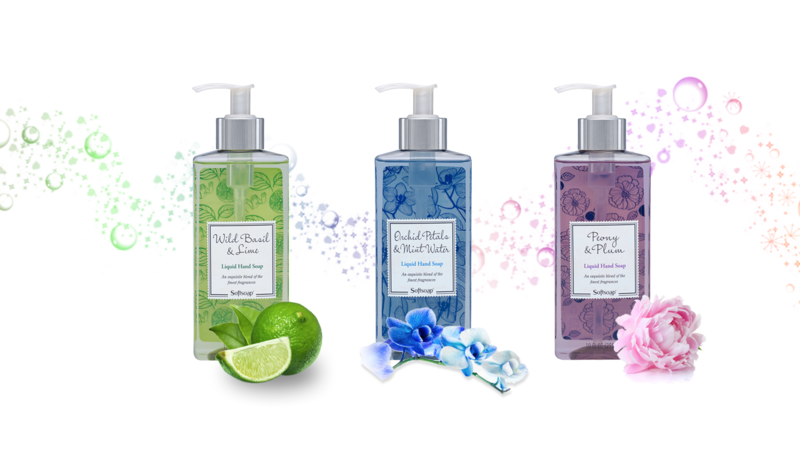 Softsoap Brand is proud to introduce the new Décor Collection liquid hand soap line. Treat yourself to an indulgent hand washing experience, with the enticing scents of Peony & Plum, Orchid Petals & Mint Water, and Wild Basil & Lime in a package you are proud to display. This moisturizing liquid hand soap is the perfect way to brighten a room, whether that room is your kitchen or your bathroom! ELM Baby is a one-stop shop for natural, safe and organic products for maternity, parenthood and baby. Founded in 2011 by a young mom, Bella Miranda, ELM Baby provides what expecting parents and new moms and dads want and need most. The online store features everything from high-quality maternity clothing, fashionable accessories, nursing necessities, infant wear, and much more. The vision for the company is to create the best environment for a new life and for the world. The #StayCool Summer Contest seeks user-submitted videos that capture the essence of staying “cool” in exchange for prizes that range from free Old Orchard Brands fruit juice to a chance at winning one of two summer getaway vacation packages valued at $2,500. 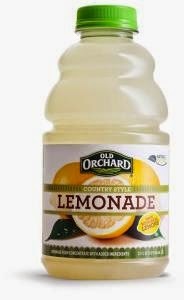 The video contest coincides with the launch of two new naturally-sweetened lemonades from Old Orchard, including Strawberry Lemonade and Country Style Lemonade. 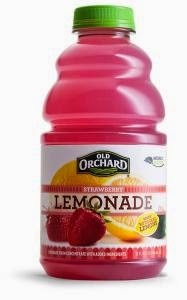 Made with real lemon juice and naturally sweetened to provide a fresh lemonade-stand quality and taste, Strawberry Lemonade and Country Style Lemonade can be found in the ready-to-drink juice aisle of grocery stores nationwide in 32-ounce and 64-ounce multi-serve bottles. The lemonade is priced at $1.29 and $2.29 respectively. The contest continues through July 31, 2014. **Visit www.Facebook.com/OldOrchard or www.OldOrchard.com/staycool for detailed contest rules. We had a chance to review one of the beds for a small dog. When I first saw it, I thought it was too small for him. He's 12 lbs but has always had bigger beds than the one we received. But we were quite surprised when he climbed right in. He really hasn't been able to get enough of it. He loves the ridge around the edge as well as most times he likes to rest his chin on it. The quality is very nice and textures of materials it is made from make me wish it was people size! Anyone who loves to spoil their pets or have pets that love their comfort and blankets, these pet beds are perfect! Jakey gives them the thumbs up! Petmate's new patterns and textures inspired by on trend, home décor; featuring coordinating animal print & geometric jacquards, for an eye catching statement on shelf; filled with high-loft, recycled polyester fiber fill; available in 4 sizes. Happy Father's Day - 2014 ! Wow- this is what happens when you just get back from a trip and are trying to get re-organized. I didn't even realize that I hadn't posted today to wish all the dads a Happy Fathers Day. So Happy Fathers Day all dads! Gerry bbqed in the rain today,( I don't run the bbq), but did fix the rest of the fixins. Erika is in Calgary so missed being with Gerry but Ria was here and came over for supper, and we did a gift opening too. Missed you Erika, Jon and Chris, who couldn't be with us today. Phoned my dad to wish him Happy Fathers Day but working today guarding at the local jail. Hope everyone had a great day today with their own families. Today will be my last blog post till we're back home again and settled. Leaving tomorrow for all day travel. Then into Saskatoon for an overnight, some errands on Saturday, then picking up little Jakey and making the 4 hour drive home from the kennels. Today we drove to Winter Haven, about an hour's drive from Orlando, to Legoland. We found it hard to find as it wasn't in our GPS and has little for road signs. We had to stop a few times to ask for directions and make sure we were going the right way, but did find it after all. Legoland is geared alot for families with kids 2-12, but we did love the Miniland and Cypress Gardens, as being our favorite "adult" spots. The famous Banyan Tree below was planted in 1939 as a seedling. What a cool tree! Part of Cypress Gardens. Lots of these cool Lego figures around the park as well! And Gerry in Miniland below- with the Las Vegas set. Be sure to check out their online park map and check out the park before you go. We also stopped for a delicious pizza lunch while there, at their pizza and pasta buffet. Weren't there a long time, as it started storming and raining again, like most of our days have been here, by early afternoon. A few of the attractions as well were closed due to the weather. The humidity has really gotten the best of us as well while we've been here- it just drains you. I was told best time to come to Orlando to beat the humidity and heat is October- December. We had a day spa visit at 6 pm today too- went for a pedicure with a paraffin treatment for me and Gerry had the manicure with paraffin treatment at the Venchi Day Spa in Orlando. They have a great staff and nice clean spa, if your in this area, treat yourself! Well, that's our day- mixed in with supper at Johnny Rockets again- (another location), some final souvenir shopping and some time in the room to stay caught up with emails, blogging and the like. That's all for me though- talk to everyone when we're back home again. In for the evening. So what did we do today? We headed to Sea World earlier in the day, after checking out the weather forecast online, and seeing thunderstorms in the forecast for the afternoon. I would totally recommend anyone going on any holiday, and visiting local, outdoor attractions, to check out the forecast for the area the night before. By doing this, we were able to get the park earlier knowing that we could make it to Shamu Stadium and see the One Ocean Show. We were in Orlando last year and missed the show as there was a terrible storm that came up later in the day and the show was cancelled. We enjoyed it today though- it was our first stop in the park. This is a must see in the park, as well as be sure if you are a pet owner and animal lover to see the Pets Ahoy Show. There were dogs, cats, doves, rats, pot bellied pigs and even a skunk performing a series of skits with and without their trainers -showing off skills. It was by far our favorite part of our half day there. But we also enjoyed so much more of the park as well. Enjoy the dolphin feedings, touch a stingray, feed the sea lions, see more great shows, enjoy their shopping spots and great eateries throughout the park. We left Sea World earlier than we wanted though- the storm came by 2:30 pm and raining too hard to stay in the park, for us anyhow. We still noticed people coming in though while we were leaving. We headed over to Wonder Works after that-but had to wait about half an hour in line- was busy. By the time we were leaving, no one was in the lines again.I was here years ago with my ex but Gerry had never been here before.It's a great spot to bring the kids, especially if the weather isn't so agreeing for the day. Wonder Works is an amusement park for your mind- 100 interactive exhibits, and indoor rope course 4-D theater and lazer tag. We did more of the "older folks stuff"-lol. Both of us have issues with motion rides, and Gerry decided to stay off the rope course since he has bifocals. It was time for supper after Wonder Works. A visit to Johnny Rockets. We really can't say enough good about the food or the service. The burgers we had here were the tastiest meal we had our entire trip so far. Johnny Rockets has that All American food menu- All-American hamburgers, shakes, American fries and more. Yummy supper! We've definitely been eating alot, but walking it off we hope, in the parks! Headed back to Eddie Baurer again too- love, love, love the outlet store here- savings on 50-70% on so much, and a big selection here too. Boy do I wish there was one of these closer to home. We're in for the evening, and on to our last day here tomorrow. So will talk to you all tomorrow evening.